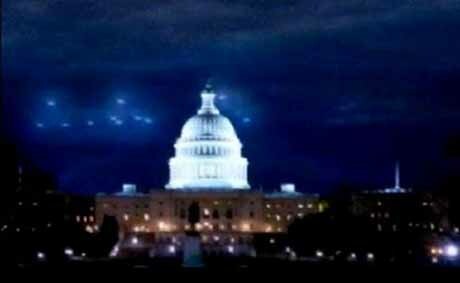 Over two consecutive weekends in July 1952, Washington D.C. was swarmed by flying saucers. The number of witnesses contributing to this phenomenon was overwhelming. This was not so surprising since, in 1952 you could say you saw a UFO without worry of being characterized as a ‘crackpot’. Consequently, not only were these unidentified flying objects detected by radar across the Washington D.C. area, they were willingly reported by a number of military personnel and clearly described by several commercial aviators. The Military was extremely concerned about ‘the Washington Flap’ as it came to be called. At issue was national security and threats to the Nation’s capital. Who or what was responsible for these strange aircraft that everyone in the area saw? It was no mass hallucination. Seen by so many professional witnesses, U.S. Air Force jets scrambled to join in the chase while flight controllers tracked the activity of ‘ours versus theirs’ in a ‘play-by-play’ manner from their radars—all at various locations and over two successive weekends. Since there were so many participants in the sightings with highly professional credentials, the ‘Flap’ was the most important and authoritative sightings of UFOs in American history. Again, the reader recall these reports took place when talk about seeing flying saucers held no fear of reproach. According to the Charleston Gazette of July 29, 1952, the excitement culminated in an order to shoot down any flying saucers or force them to land (an order that later would be strongly rescinded—for reasons that remain at the heart of the controversy[ii]). While military jets were scrambled and the ‘blips’ confirmed by the pilots, the USAF jets didn’t get close enough to the saucers to take a shot. Also on July 29th, after another weekend of unexpected aerial assaults, the Pentagon held a press conference which was the most attended event of its kind since World War II. Officials quieted the press although the explanations offered – temperature inversions and meteors – smacked of insincerity. 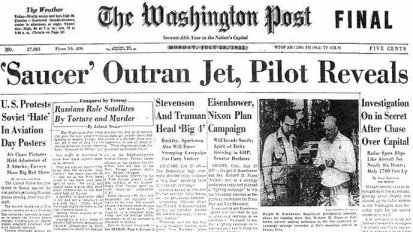 If Roswell in 1947 excited flying saucer interest, the 1952 Washington incident elicited unrestrained fascination. Soon intelligent beings (presumed to be) from ‘outer space’ manning flying saucers, became a new national obsession. Not long after the Flap, Hollywood cashed in on this spate of interest, creating a new and never-out-of-date genre. 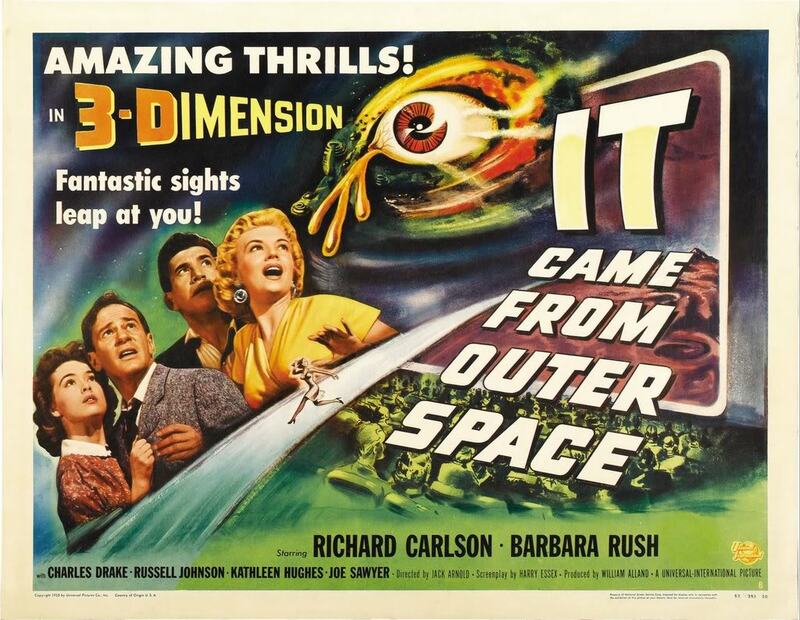 Universal Studios produced its very first 3D movie, It Came from Outer Space (1953) starring Barbara Rush and Richard Carlson. Predictably, the plot was based upon the Roswell incident six years previous, but exacerbated by the fury of ‘the Flap’. In the movie, audiences discovered the alien visitors weren’t testing our defenses and thus, planned no malfeasance. The aliens simply had mechanical trouble. Plus, they did their utmost to stay hidden so earth folks wouldn’t be alarmed. With a human presence of mind, the aliens realized their creepy appearance would frighten the backward earthlings—not to mention the obvious from the movie producers’ viewpoint: 3D is wasted on invisible aliens. Never making an appearance would certainly disappoint the audience. In the final analysis: although the movie was a good time, it wasn’t such a hot ticket in the annals of American cinema. Author Alex Constantine’s book, Virtual Government: CIA Mind Control Operations in America takes up the topic of the early outbreak of UFOs and its connection to American intelligence operations. Quoting from the London Times, July 29, 1952, Constantine remarks that one John Alexander Samford stepped up to brief the press during ‘the Flap’ (at the aforementioned conference) “fresh from a promotion to Director of Air Force Intelligence (and four years later to the highest office of the National Security Agency).”[iii] Samford wasn’t leading the press conference because of his aeronautical acumen; he was there as a military intelligence specialist. Undoubtedly, his explanation begged further questions. Just what intellectual pursuits and scientific studies were underway? Who was doing the experiments? What was their objective? Why did they pick Washington DC to showcase their wares? If such benign interests were behind ‘the Flap’, why did the Air Force act so panicky? Why didn’t military leadership know of these activities ahead of time? What power or force could operate with such impunity? Enter Dr. Howard P. Robertson, a physicist from Princeton who formed and chaired a panel in 1953 to investigate UFO sightings. It just so happened that Robertson formerly headed an intelligence team to hunt down and recover Nazi technological secrets. Typical of many intelligence adventures, not much can be learned by what the group in question chose to call itself. Robertson’s most unusual squad was known as C.A.F.T.s, for Consolidated Advance Field Teams. Constantine notes, “Dr. 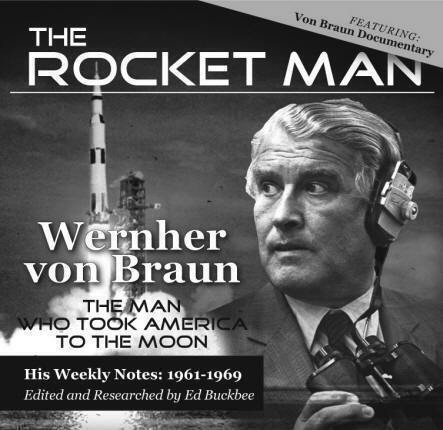 Robertson was also instrumental in the transplanting of Werner von Braun and his fellow Nazi fugitives from Peenemünde [Hitler’s advanced rocket technology laboratory] to the United States.”[v] According to Constantine, Robertson’s activities (post-Nazi migration and UFO explanation), served the CIA and Department of Defense for an additional twenty years, designing weapon systems for the military. We can safely surmise the knowledge Robertson acquired regarding Nazi technology was put to good use for the American side during the Cold War. 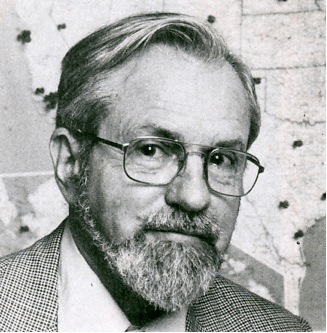 Another well-known person associated with the UFO phenomenon in the 1950s, was the astronomer J. Allen Hynek. Hynek termed the whole UFO affair a “saucer psychosis.” Upon analysis, we learn his role was to cultivate as many explanations as possible to confuse and convolute the entire episode. Hynek developed rationales suggesting UFOs were nothing more than “hallucination, hoaxes, optical illusions, weather balloons, perihelia, lenticular clouds, meteorites, [and] ordinary planes flying at high altitude…”[vi] You name it, he would employ it—(although my favorite cause, ‘swamp gas’ as an explanation for seeing unusual lights in the sky, hadn’t yet been popularized). Hynek dismissed the reality of flying saucers with enough disdain to embarrass anyone silly enough to pose such questions in the first place. The experts love to yuck it up. Along with Robertson’s 1953 panel, other experts soon joined in the festivities. The art of debunking UFOs became a gleeful exercise for all the military’s flying saucer experts. Supposedly, these authorities were not just acting under orders—they were seeking to suppress needless worry. Indeed, most everyone assumes that downplaying UFOs was doing what was best for the country. The infamous Brookings Report filed a few years later in 1960, officially sanctioned this course of action. While our leadership apparently feared hysteria would grip the country if UFOs were acknowledged, many of today’s researchers doubt the honesty of this justification for dismissing the UFO phenomenon. Investigators argue a known earthly source lay behind the ‘hush-hush’ treatment of the UFO story. Additionally, even in the 1950s the population seemed accepting of the possibility of life elsewhere in the universe. Known as the ‘Theory of Many Worlds’, such conjecture had been commonplace for several centuries. 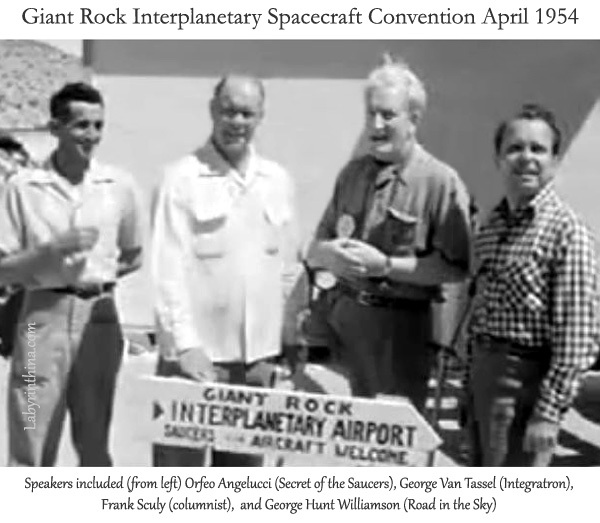 As a means to demonstrate the tremendous interest during the 1950s and the eagerness of the populace to embrace the extraterrestrial hypothesis, one can study the activities of a legendary figure named George Van Tassel. Van Tassel was an aeronautical engineer and test pilot who worked for Lockheed, Douglas Aircraft and was even a colleague of Howard Hughes at Hughes Aviation. His annual Spacecraft Conventions were attended by tens of thousands across two decades, featuring speakers that included high profile UFO contactees and pioneers in the fields of antigravity, primary energy research and electromagnetics. 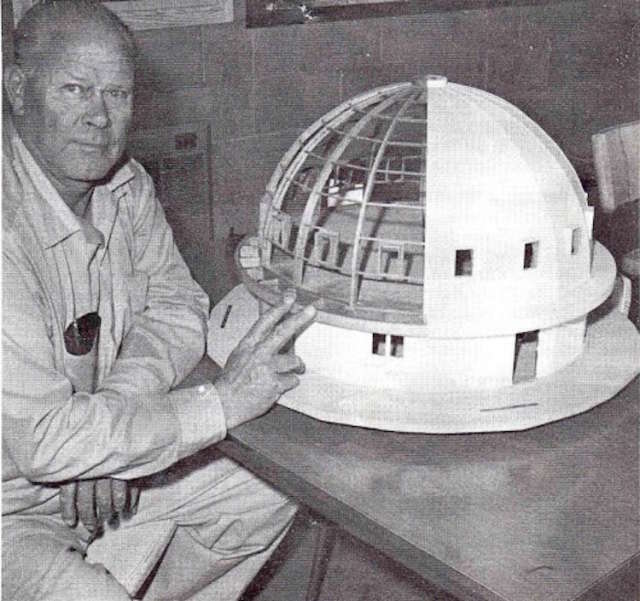 Van Tassel led weekly meditations in the rooms under the rock from the 1950’s to the 1970’s [sic], which he claimed led to UFO contacts. Given that the population wasn’t panic-stricken about the possibility of UFOs and, as indicated before, eagerly saw in UFOs a possible proof for an extraterrestrial-based religion, wasn’t the fear the population would panic just a smoke screen set up by ‘the powers that be’? Since it was the military which seemed unnerved, could it be the real reason for alarm was more—shall we say terrestrial? Wasn’t the suggestion of ‘beings from outer space’ a convenient method for disinformation? Might this be an example of what would become a frequent tactic known as an intelligence cover-up? We know the population didn’t dread the ‘visitors’; indeed, just the opposite seems true. The details of the Integratron smack of religious passion (see the figure adjacent), patterned as it was after the Tabernacle of Moses. That the cause was in fact terrestrial (and not extraterrestrial) is the theory many researchers hold today. Looking back 60 years, the thesis ‘alternate authorities’ espouse—an true cause for alarm—was far more disconcerting and genuinely warranted a panic-stricken populace, if the folks only knew what was really going on. That’s because the airborne discs were from a source far too familiar. There were no ‘secret meetings with beings from other planets’. The real threat was from ‘inner space’; that is, earth-bound enemies roaming our skies. Experts contemplate two sources for the free air shows. First, it is proposed by some of these authorities the Soviets were employing ‘their’ Nazi scientists captured and hauled off to Russia in 1945. As we will see, this explanation is totally plausible. But the bewildering alternative—and what is arguably the better explanation—was impugning a nefarious third party. Specifically, many researchers suggest the military feared that die-hard Nazis were responsible for these post-war intrusions into our air space! As we will learn in this chapter, military intelligence had good reason to consider this seemingly outrageous possibility. Indeed, today a number of researchers suggest there is no need to posit outer space aliens visiting our planet. They point to advanced technologies secretly amassed by German science before and during the Second World War. In other words, they theorize numerous Nazi scientists escaped the clutches of the Western Allies and the Soviets, heading off to parts unknown to set up shop and continue the battle for world supremacy. 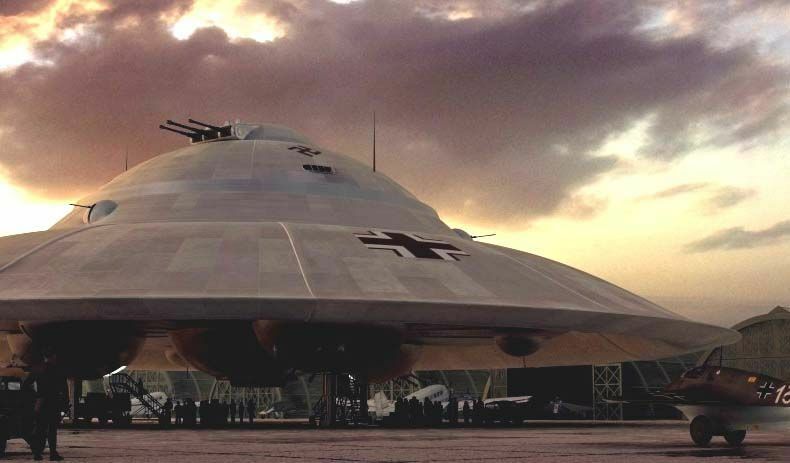 YES, THE NAZIS DID BUILD FLYING SAUCERS, BUT WHEN DID THEY STOP? The argument goes as follows: the Reich had only suffered a severe set-back, not a total defeat. Before War’s end, Nazi leadership more or less determined which scientists would go where, while they kept the very best for themselves. All they needed to do was develop a plausible diversion to capture the imagination and keep the Allies from asking too many questions that might point the finger back at independent German technologists. Akin to what the South said after the American Civil War, The Reich will rise again! Nazi scientists, operating unsupervised and out of sight by the declared winners of World War II, continued to develop numerous advanced and sometimes sinister technologies—all in dark faraway places. I will post the second half of this chapter in the next posting later this week. PLEASE SUPPORT MY WRITING MINISTRY. Buy books! And review on Amazon. It helps! [ii] According to an UFologist of that era, Donald Keyhoe, indicated that a Robert Farnsworth, the president of the United States Rocket Society, sent a telegram to President Truman, Secretary of Defense Robert Lovett, Army Secretary Frank Pace, Jr., and Navy Secretary Dan Kimball and a copy given to United Press International (UPI) wire service. The telegram implored Truman not to risk shooting at the UFOs because he might start an interplanetary war with an advanced civilization we would be unable to win. Joseph P. Farrell indicates that it was indeed a fair analysis of those who believed, at that time, that we were dealing with extraterrestrials. However, Farrell states, “Truman’s ‘shoot down’ order make the most rational sense only in a context that suggests that he and his advisors knew more about the origins of the objects than they were letting on publicly, and that they knew them to be terrestrial.” [Emphasis mine] Joseph P. Farrell, Saucers, Swastikas, and Psyops, Kempton, Illinois, Adventures Unlimited, 2011, p. 370. [iii] Constantine, Alex, Virtual Government, CIA Mind Control Operations in America, Los Angeles, CA: Feral House, 1997, p. 100. [vii] Given our mature awareness of the dismal chance for life on Venus one can also see the probability of deception from the source of the extraterrestrial information he supposedly received.